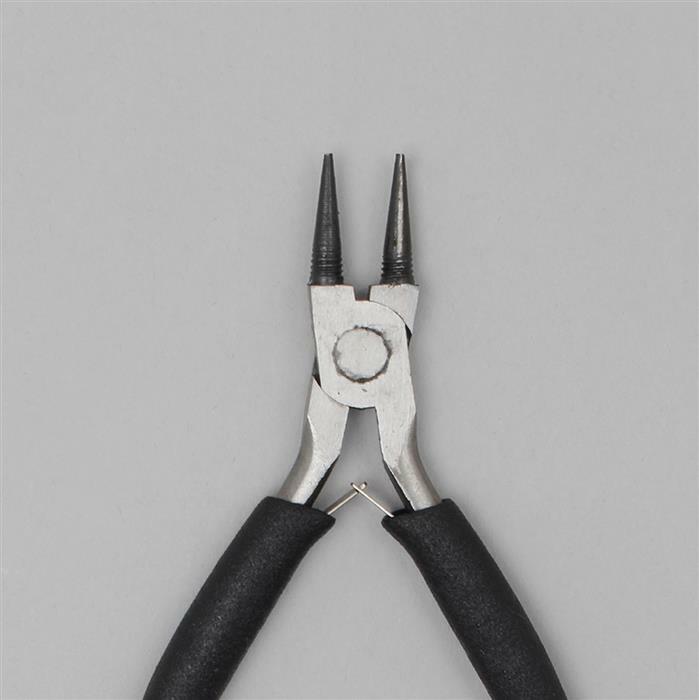 Nylon Jaw Round Nose Pliers are specially designed to make it easy to create perfectly round loops in wire. Both jaws are conical and are shaped like ice cream cones. 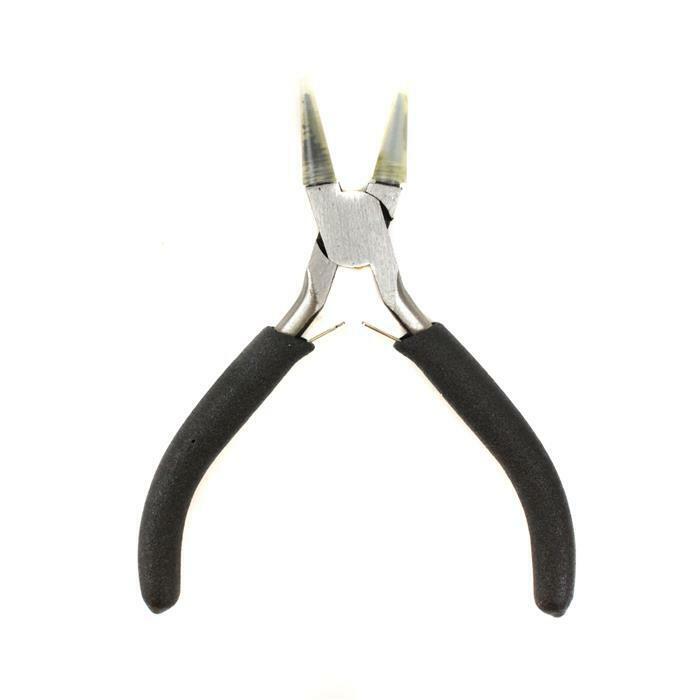 These pliers can be used to pry open jump rings and other jewellery findings. I bought these pliers as I thought they would be ideal for using on sterling silver wire as the plastic covers would prevent marks being left on the silver..... they didn’t leave any marks because the wire slipped on the plastic when I tried to curl the wire into a spiral shape,sorry I have to rate these a fail,disappointing so returning them. Thank you for your feedback regarding item DZZX06. We're sorry to hear that you were disappointed with this particular item and that you are planning on returning the item back to us. As soon as we receive your return, we will aim to process this as quickly as possible for you. Very poor quality, surprised these got through your quality control? The most disappointing thing I've ever purchased from Jewellery Maker. I purchased these to help with my work, have only used them once, couldn't turn a loop with them and plastic marked and scarred, not fit for purpose in my opinion. OK - slippy to use if you haven't got a firm grip. I never received it. Jewellery maker informed in writing and verbally , money taken from my account but no product or update regarding how the situation is going to be handled. First time I have received a bad service from Jewellery maker. Superb - great for those delicate accessories! Absolutely useless. They won't grip the wire so they just slide along it, making it impossible to make coils. Thank you for responding to our request for feedback. If ever you receive an item and you are not 100% happy please do take advantage of our 30 day money back guarantee, if you would like to send that back we will be happy to issue a replacement or a refund. Slow dispatch time lets them down every time, sometimes 4 days before goods even hit the postage system. Not good enough I'm afraid. Does stop me from buying from them at times. Many thanks for responding to our request for feedback, it is unfortunate that we were unable to make contact with you today. We are very sorry to hear your Nylon Jaw Round Nose Pliers did not meet our usual high standards, please return these to us under our 30 day money back guarantee and we will be more than happy to issue you with a refund and once inspected and if the item is deemed faulty we will also reimburse you your returns postage charge. Please get in contact with our Customer Service Team if there is anything else we can assist you with, we look forward to hearing from you soon. 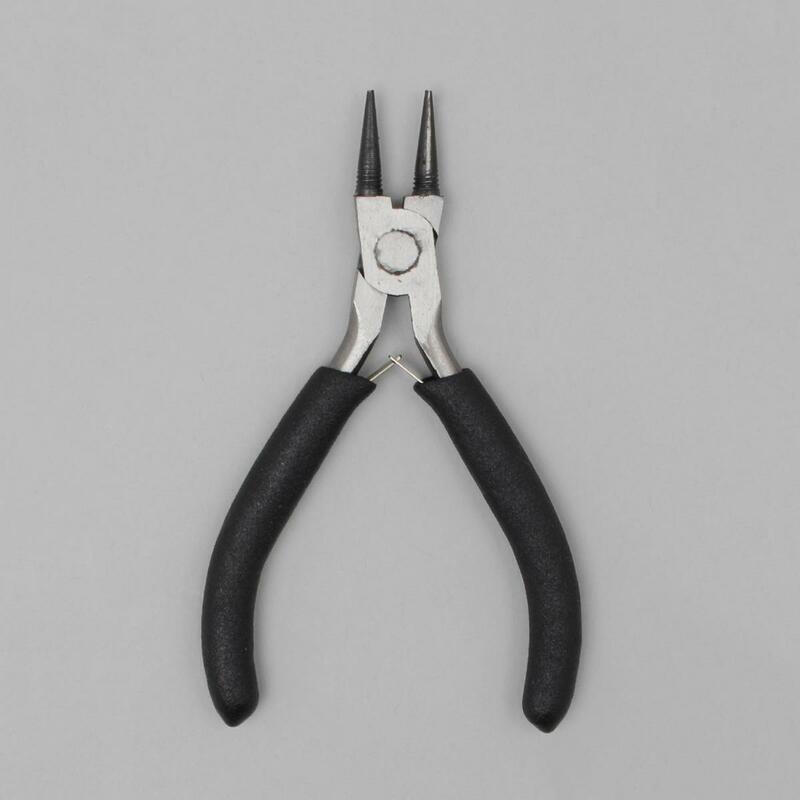 Please accept our sincere apologies for the pliers not meeting your expectations. We have processed an order today for a new pair and these should be dispatched tomorrow, we trust this meets with your satisfaction and if you would like to discuss in further detail please contact our Customer Service Team on 0800 6444 655 and select Option 2. Nylon covers do not reach the tip so it's impossible to do small loops on headpins and wires. They also do not grip wire good enough to turn a decent spiral. Will cost more than just P&P to return them as I am disabled and have to pay for taxis to travel to and from Post office. Totally unimpressed. We are very sorry to hear your Nylon Jaw Round Nose Pliers did not meet our usual high standards, please return these to us under our 30 day money back guarantee and we will be more than happy to issue you with a refund and once inspected if the item is deemed faulty we will also reimburse you your returns postage charge. Good quality and fantastic price. 59 customers did not leave a comment.